Sold in Sheet size 1260mm x (Varies between 1000mm-1300mm) still on the roll £30.00 all inclusive price! Normally over £11.00 per metre for this material but because we have some off cuts we can offer the (Varies between 1000mm-1300mm) x 1260mm on the roll for a great all inclusive price - we only have 150 of these available so don't hang about because they won't last long. £30.00 including vat and carriage - we literally are giving these away! 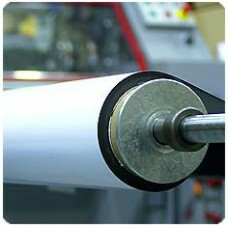 Matt white - the vinyl is factory laminated to the non magnetic side, which is digitally printable. The magnetic side has a UV coating to help protect the material in situ and aid handling.